This fruity red offers black cherry, blackberry and plum pudding flavors, while vanilla and leafy notes add interest. Lively acidity and light tannins focus the plush texture. Since 1916, when Juan Gil Giménez had the winery built, only one clear idea has moved the following generations in charge of the same: Doing a good job and being prideful of the Juan Gil name and commercial trademark. 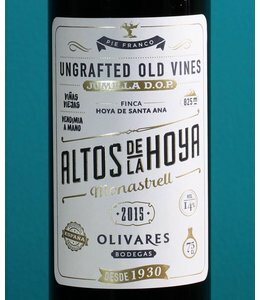 Juan Gil Guerrero, a founder’s son, firstly, and then his grandson Juan Gil González, improved and consolidated the winery, applied the traditional knowledge of their job transmitted from parents to children. Nowadays, the fourth generation, linking the tradition with the technical revolution, is the one that enjoys the result of the work done by the predecessors. In this place, with extreme climate and strong contrast, is where our winery is located. With hot summers of intense sun, long and cold winters, a difference of 25ºC between day and night, almost total absence of rainfall, and with a dry and stony ground. These land particularities are which gives us the character we have, which marks our people and, of course, our wines. It’s our way of doing things. Our vineyards are located between 700 and 850 meters of altitude, on a sandy and limestone soil, stony on the surface and very poor in nutrients, with a great holding capacity of the little water it receives. It’s the kingdom of Monastrell, a grape variety owned by this region that is present in the vast majority, and exclusively, in all our wines. 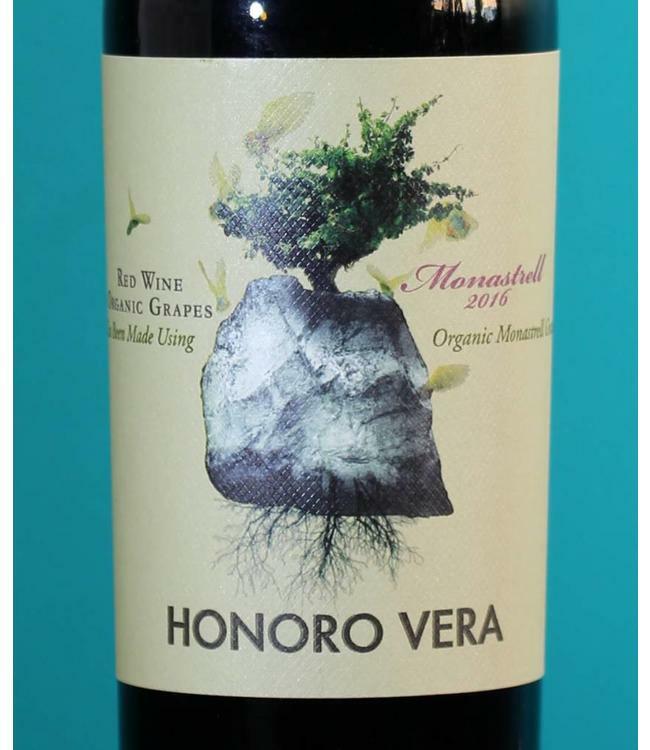 Next to the old vines, aged more than forty years, and other younger Monastrell ones, also grow Syrah, Cabernet, Merlot and Petit Verdot grapes, which are well suited to the terrain and provide intense shades of spices and fruit. This fruity red offers black cherry, blackberry and plum pudding flavors, while vanilla and leafy notes add interest. Lively acidity and light tannins focus the plush texture. Drink now through 2022. 18,000 cases made.